Deidre Woollard is the co-founder of Lion & Orb, a real estate public relations company. Previously she was part of the marketing team at realtor.com, publicist at Rodeo Realty, and head of communications for Partners Trust in Los Angeles. 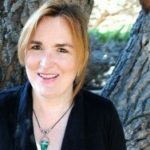 She has an MFA in Writing from Spalding University and was recently an instructor in digital journalism at University of California at Irvine Extension. Construction is still rising, but where are the workers? If you are a single-family home investor, it’s time to look away from coastal markets. Data released last week from Attom Data Solutions, identified the top 25 U.S. ZIP codes for buying single family rental homes in Q3 2017 based on rate of return and other factors. Making money by flipping property has become as much of an American dream as homeownership. The full spectrum programming on HGTV is a testament to how much we want to believe that we can make money of flipping houses, in small towns, in cities — anywhere there is a deal with good bones to be had. Is education the key to turning millennials into homeowners? Just how big an impact did the recession have on young adult homeownership? In 2007, 53.5 percent of people aged 20-49 owned homes. By 2013, that number was down to 43.9 percent. Of those aged 25-34, 45.5 percent owned homes in 2007, but by 2013, just 31 percent were homeowners. Is infill development a solution to affordability? Rising prices in cities have been driving many people to the suburbs lately. This is the solution and cycle that occurs over and over. Prices go up, people flee to outlying areas and brave crushing commutes in exchange for affordable housing and enough room. Prices fall and people cluster back toward the urban areas.